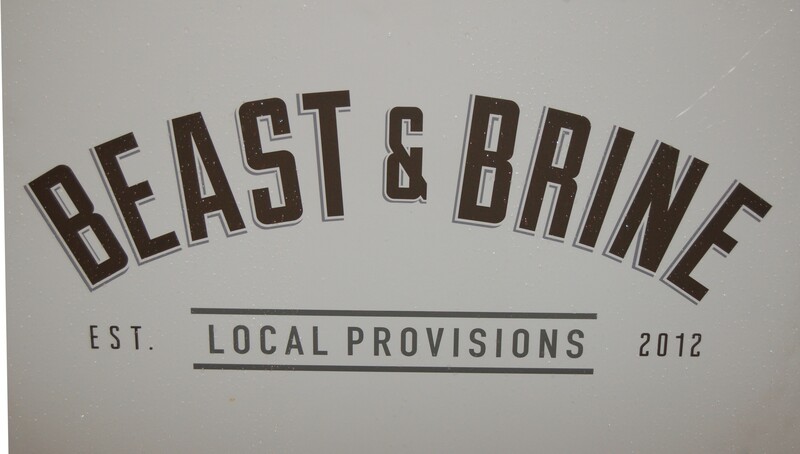 On the corner of 128th St and Crescent Road in South Surrey you’ll find the recently opened Beast & Brine Provisions, a great spot and totally awesome new addition to the area. Beast & Brine specialize in brining their own deli meats, making their own sausages, curing their own meats and stocking tons of high quality products. You’ll find many different varieties of cheese, various types of mustards as well as wicked pickles and sauerkraut. After seeing a ton of talk about them on social media I knew I had to get there right away. 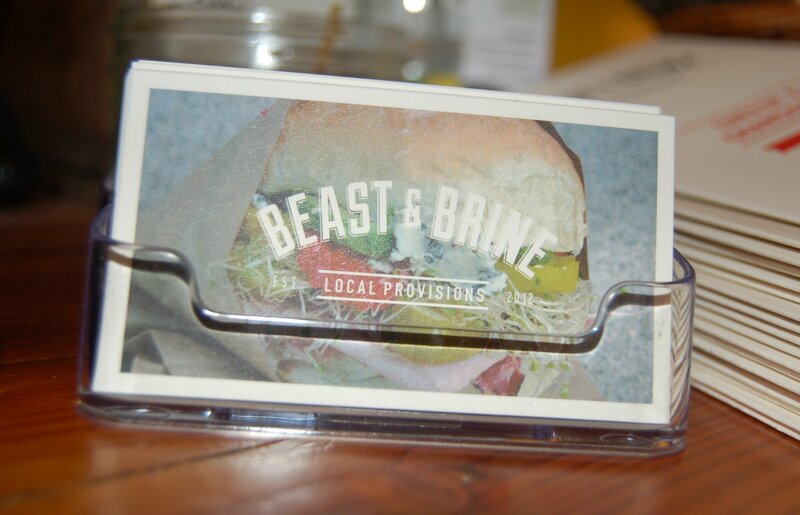 Head to Beast & Brine to design your own sandwich with basically any item they stock, check out the daily featured sandwich, or do what I did and get them to “Beast” it for you. When you ask them to “Beast” it they basically just come up with something unique for you right there on the spot. 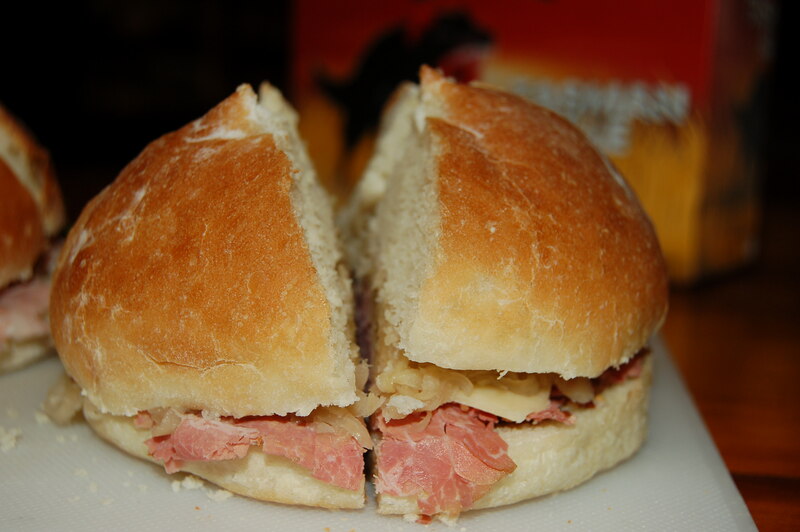 What was put in front of me the day I was in was a spectacular Montreal Smoked Meat sandwich with sauerkraut, sharp white cheddar and Kozlik’s triple crunch mustard on a bakery fresh bun from their neighbour Feildstone’s. Their in house brined and smoked Montreal Smoked Meat is so tasty and shaved really fine. The meat is tender and has a nice amount of fat layered through it, not like the big fat cab found on a more traditional type of smoked meat sandwich. The sauerkraut is crisp and sour, the cheddar is perfectly sharp and the mustard delivers a great crunch with bursts of flavour. All I can say is that I wish I lived closer, because I’d be in here almost every day if I did. Now if you want to enjoy a delicious craft beer with your sandwich from Beast & Brine, you’ll have to grab the sandwich to go. But that’s okay, especially with beautiful Crescent Beach just down the road. So before heading out to South Surrey I stopped in at my go to shop Legacy Liquor Store in Olympic Village to pick up my beer for this pairing. 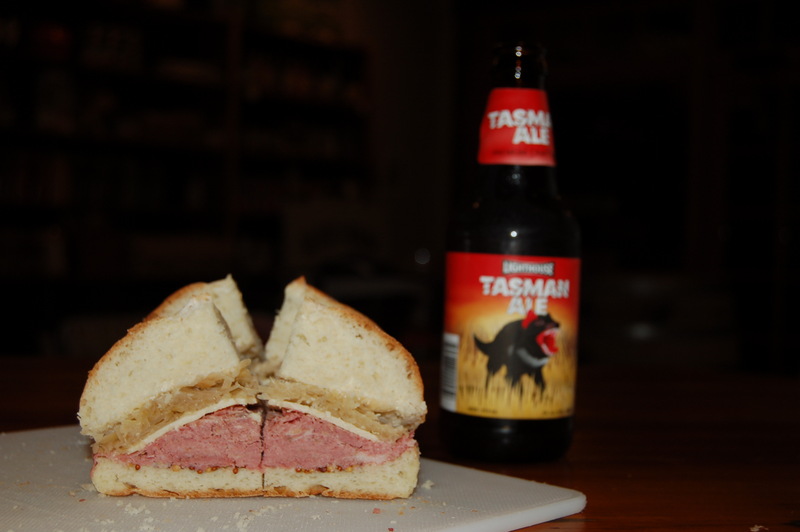 The beer for this sandwich needed to be malt forward with some subtle hops. 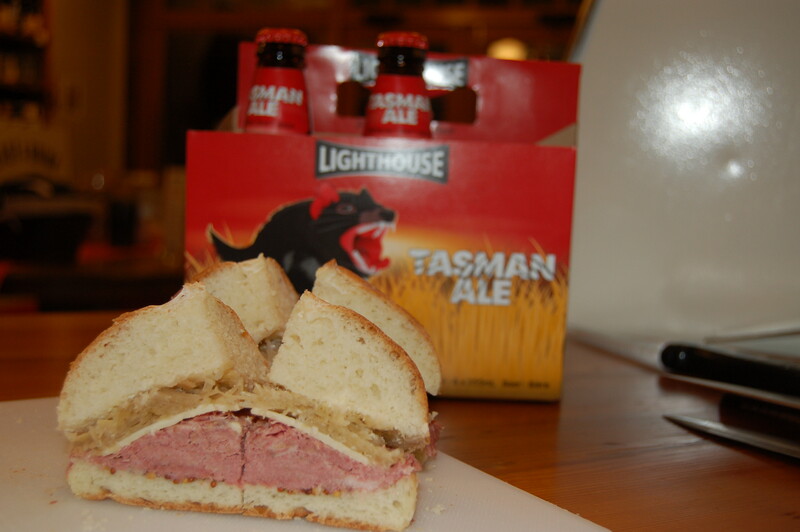 The decision was made to pick up the Tasman Ale by Lighthouse Brewing. This great session beer offered up exactly what I was looking for, a soft malt body and light bittering from the hops from Tasmania and the Tasman region of New Zealand. The malty sweetness worked great the smokiness from the smoked meat and the hops find the acidity in the mustard to make a great combined flavour. So if you’re looking for a butchery carved smoked meat sandwich on a bakery fresh bun to pair up with a great session beer from a wicked BC brewery, then head to Beast & Brine Local Provisions for This Sandwich and That Beer. 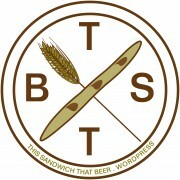 Check out www.beastandbrine.com and www.lighthousebrewing.com for more info, follow them both on Twitter @beastandbrine and @lighthousebeer and follow me @tstb_blog. 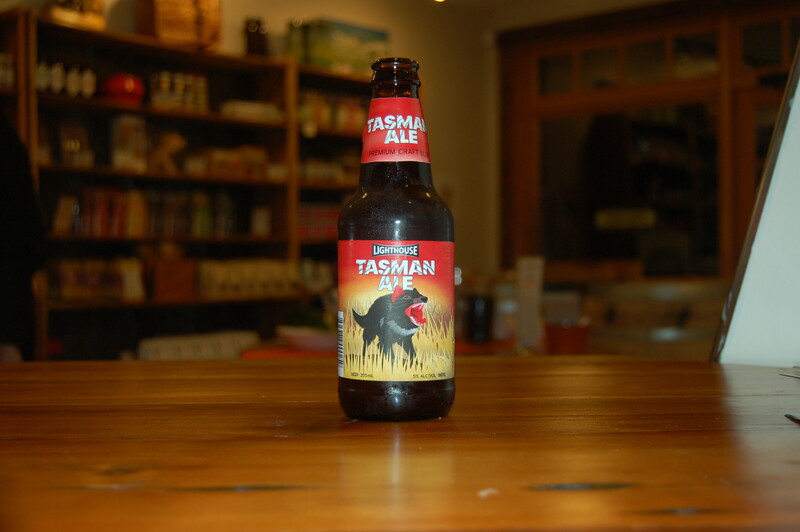 Head to Legacy Liquor Store to pick up the Tasman Ale or many other great craft beers. Also, check out my column in the BC Craft Beer News available at your favourite craft beer focused outlet and tune into “Just Here For The Beer” radio on Team 1410AM Nov 30th at 12pm PST.